Champion Charter Bus provides spacious, comfortable motorcoaches that transport groups to hiking trails throughout the San Francisco Bay Area. Start planning your next hike by taking a look at our list of the best hiking trails in San Francisco! Do you have a love for outdoor exploration? Well luckily for you, San Francisco is home to some of the most breathtaking trails, mountains, and parks in the United States, and they’re all waiting to be explored by you! Because San Francisco has so many outdoor options to choose from, it can be tough to decide which ones are best for you. If you’re interested in hiking with a large group, you may also be having a tough time figuring out how you’re going to transport everyone to and from the trail. Not to worry, Champion Charter Bus is here to solve both dilemmas. Champion Charter Bus provides charter bus and minibus rental services to groups of every size, traveling to any one of our favorite trails listed below. For more information about how we can assist you, contact a reservation specialist at 415-226-7968. San Francisco and its surrounding cities feature a number of hiking trails of varying complexity, located from its northern coast to its southernmost woodlands. 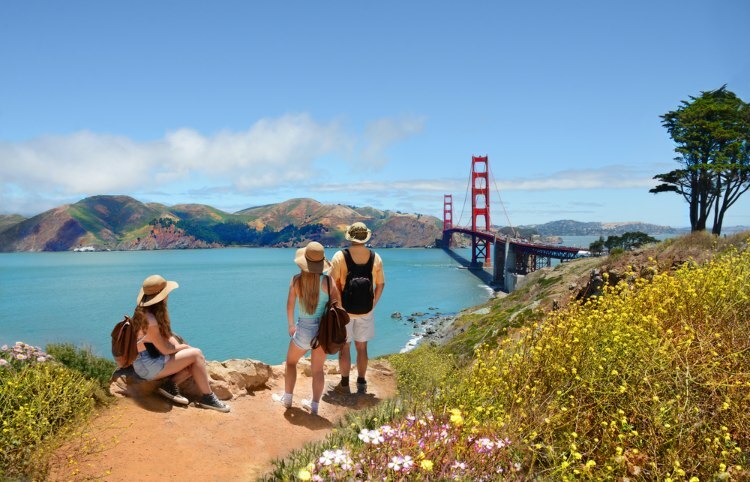 Whether you’ve got a desire to explore a trail nestled within the cityscape, or prefer an oceanside hike to clear your mind, San Francisco offers all of that and more. 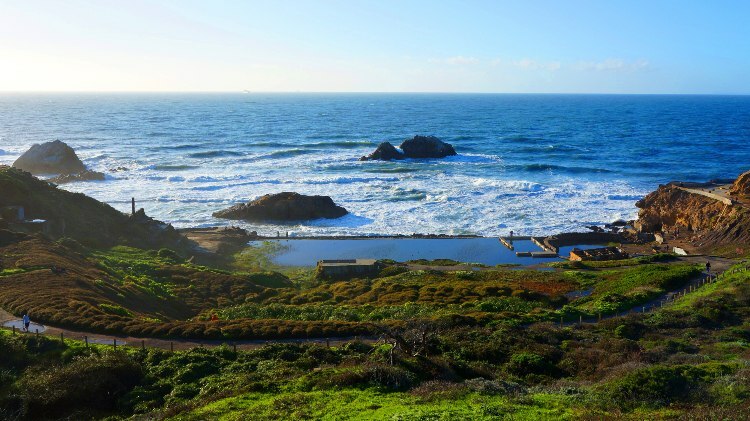 Located at Land’s End Park, the Land’s End Trail is a rocky, oceanside trail that pads the Western shoreline of San Francisco. Found within a mile of both Cliff House and the Sutro District, this is a challenging, yet entertaining trail to take on. Golden Gate Park is a huge park located in the heart of San Francisco. While this park houses an open-air performance plaza, fine arts museum, tea garden, and more, it also features a hiking trail known as Strawberry Hill that is very popular among local hikers. If you want a taste of nature and urban lifestyle, this is the perfect trail for you. Found in the southwestern corner of San Francisco, Fort Funston is a trail that once served as a defense installation. Protected by the Golden Gate National Recreation Area, Fort Funston has both hiking and horseback riding trails. San Bruno Mountain State Park is located just south of San Francisco, in San Mateo County. The park features several trails that lead to the peak of San Bruno Mountain, providing breathtaking views of the Bay Area. Found on the northern end of San Francisco, the Batteries to Bluffs Trail provides panoramic ocean views just a short distance away from the Golden Gate Bridge. This trail connects to the Land’s End Trail. You may not realize it, but there’s so much more to the Bay Area than just San Francisco. In the dozens of cities sprawling to the east of the city, there are a number of trails designed to challenge even the most skilled of hikers. These trails cross over a range of geographic terrains, including mountains, forests, canyons, and more. Mt. Diablo State Park is tucked deep in the East Bay region. Located outside of the affluent community of Walnut Creek, Mt. Diablo is a large park with a summit visitor center, observation deck, campsites, and picnic areas. Located in the Oakland Hills, Joaquin Miller Park is a woodland park spread over 500 acres. With thousands of tall trees and rustic trails, it’s the perfect place for an outdoor hike with your pets. 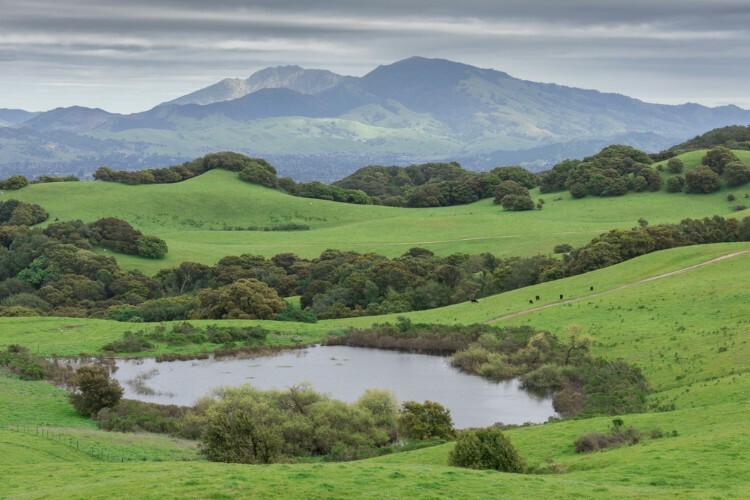 The Robert Sibley Volcanic Regional Preserve is an East Bay gem found in the Berkeley Hills. Part of the East Bay Regional Parks District, the preserve boasts the East Bay Skyline Regional Trail, the Volcanic Trail, the Quarry Trail, Pond Trail, and Round Top Road, all of which provide unique hiking challenges for visitors. Inspiration Point is one of the largest observation areas in the Bay Area, providing sweeping views of the surrounding terrain and one of the most extensive hiking trails found in the East Bay. The Claremont Canyon Regional Preserve is primarily found in Oakland. Named after the Claremont Canyon it’s situated in, the 205-acre canyon links the chain of parks that are along the Berkeley Hills. Choose between the Stonewall Panoramic Trail and the Gwin Canyon Trail when hiking. Some of the San Francisco Bay Area’s most breathtaking and challenging trails are located in the parks, forests, and mountains that lie north of San Francisco. While this area is the least developed and urbanized of the three regions surrounding the city, it also features the most wildlife, protected areas, and natural landmarks. A short ride north across the Golden Gate Bridge leads you to some of the most coveted outdoor escapes in America. Alamere Falls is a secluded waterfall located at the Point Reyes National Seashore in Marin County. 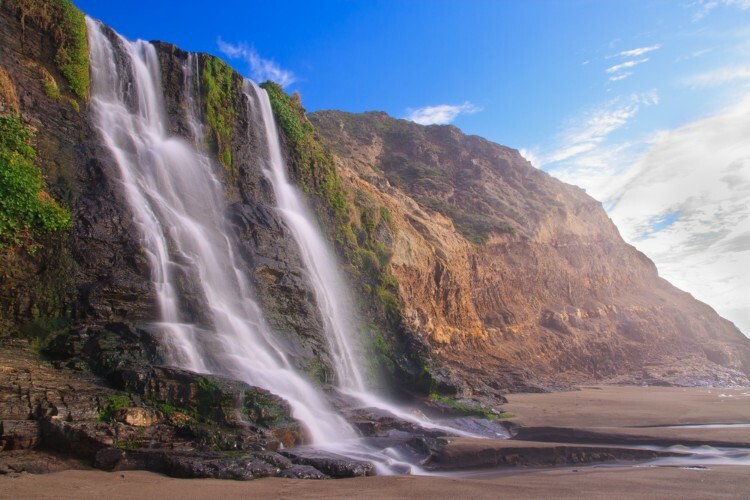 Found about 30 miles Northwest of San Francisco, Alamere Falls is one of only two “tidefall” waterfalls in the area, flowing directly into the ocean. Hikers must start at the Palomarin Trailhead and hike about 8.5 miles toward the coast. Angel Island--the largest island in the San Francisco Bay--is a state park that features the acclaimed Angel Island Trail. To get to the trail, visitors must take one of the three ferries, the Tiburon Ferry, Blue & Gold Ferry, or the East Bay Ferry, which will transport you to the island. Once there, visitors are able to hike trails, rent bikes, kayak, picnic, and camp. The Marin Headlands, found just across the Golden Gate Bridge, are a large peninsula found on the southern tip of Marin County. Part of the Golden Gate National Recreation Area, the Headlands boast some of the most famous views of the Bay Area. Several of the hiking and biking trails found in the Headlands pass through areas featuring an array of wildlife and flora. Located further north of the Marin Headlands, the Golden Gate National Recreation Area is a large urban park home to an 82,000 acres full of historic sites and outdoor activities. This protected area hosts more than 15 million visitors per year and has dozens of trails available for you and your group to explore. Also part of the Golden Gate National Recreation Area, the Dipsea Trail is a 7-mile trail connecting the Muir Woods National Monument to Stinson Beach, both located in Marin County. The trail traces the Redwood Creek watershed from Mt. Tamalpais to the Pacific Ocean by Bolinas Bay. Are you ready to explore the great outdoors of the San Francisco Bay Area? Don’t wait any longer, plan your next hiking trip with as many friends and family as you like, and rely on Champion Charter Bus to get you to and from the hiking site! Our wide array of motorcoach solutions both large and small gives you complete freedom to travel with a group of any size, and are fully capable of handling any and all hiking, camping, or biking equipment you may need to bring with you. Contact a reservation specialist at 415-226-7968 to learn more about how Champion Charter Bus can facilitate your next outdoor excursion!